Long winters made my already dry skin so much more drier and I ended up trying a long list of creams and lotions for nourishing my body skin. One of these was Elizabeth Arden Untold Body Lotion. As one of most famous world innovators in the field of beauty bringing science and nature together, Elizabeth Arden has carved an immortal name for itself. This is actually the first Elizabeth Arden product I used and it has been fantastic! 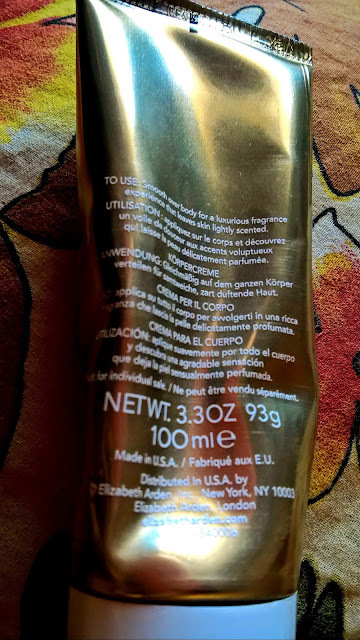 Elizabeth Arden Untold Body Cream is actually touted as a daily moisturizer good enough to be used by children! Packaging is simple but elegant and it Claims to hydrate, shield body skin and make it softer as well as smoother. Quantity is decent enough to last just a fortnight if used everyday. It cost around Rs. 5500 for 200 ml on Amazon. It does everything it claims. Applying it on skin instantly makes it smooth and there is a beautiful fragrance left behind that is subtle yet serenading. Skin is soft for 5-6 hours without any lingering greasy feel. I am not a child myself but I am sure it will be good on a child's skin too, it is really soothing. Recommended - YES. One of the best beauty creams for dry skin, especially in winters. Rating is 4.5/5.